From the col under pt 1936m.From the col, climb through lower bluffs to gain the snowslopes of a tiny glacier. Head SSE up this and gain the final ridge just east of the summit. 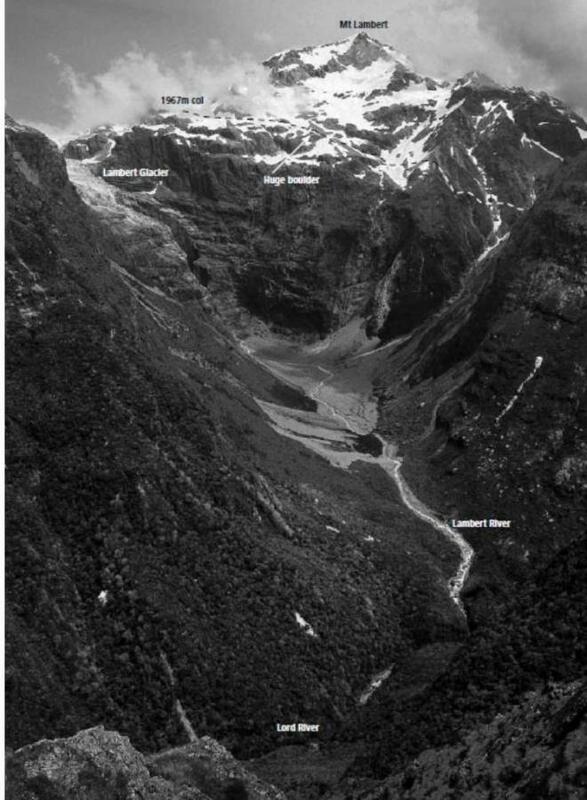 LW Boot, IW Tucker and H Andrewes first ascent 30th Dec 1933, from the col north of Lambert up the small glacier between two ridges. Gaining the ridge from the Lambert Neve is usually straight forward. In places the ridge is easy, while elsewhere, the ridge is interesting mixed climbing without being technically difficult. Ken Rowe, Stan Conway, 23 March, 1940. A moving feast, ice on this face is generally quite broken and travel threatened by seracs. Crevasses frequently cut access up the face as early as late spring. However, in good snow conditions, a route through can sometimes be found. 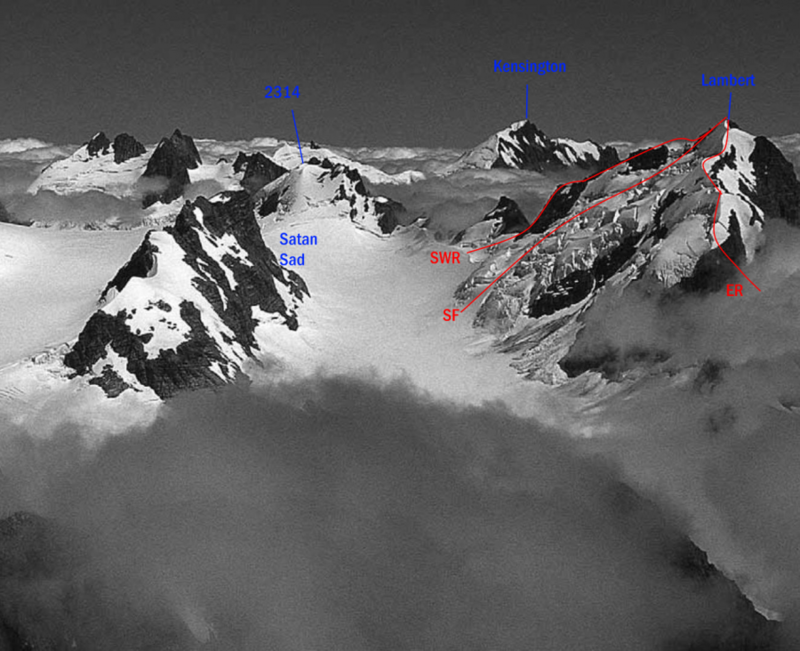 If the south west ridge is gained before the summit, an anvil shaped gendarme forming the low peak can be bypassed. A mixed rock and snow ridge. No great difficulties, but care required in places on average rock. An anvil shaped gendarme forming the low peak can be bypassed. Alan Stevens, John Fabian, and Graham Craig, 29th December 1958.